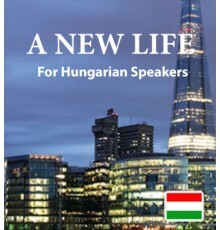 Hungarian speakers who are eager to learn English will find that our downloadable books and audio tracks are a wonderful way to support their study. As a natural introduction to the way the English language is used in the real world, these books offer you the chance to encounter a substantial vocabulary while enjoying interesting stories. It’s a fun and easy way to explore English. Our mobile app is included with your download and will make it easy to spend time with Easilang on your phone or tablet, no matter where you might be. 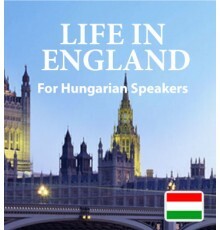 “Life in England” is a series of short stories, each looking at a realistic aspect of day-to-day ..
“A New Life” is the second downloadable book and audio track in the Easilang series for Hungarian..